The “JGTA Tour Card” is a signifies your designation as a member of JGTA, and access to the services and corresponding rights, privileges and benefit of participating in the junior golf tour operated by JGTA in various places across Asia, at which junior golfers will compete in organized competition to hone their skills and develop towards a future as a College athlete. 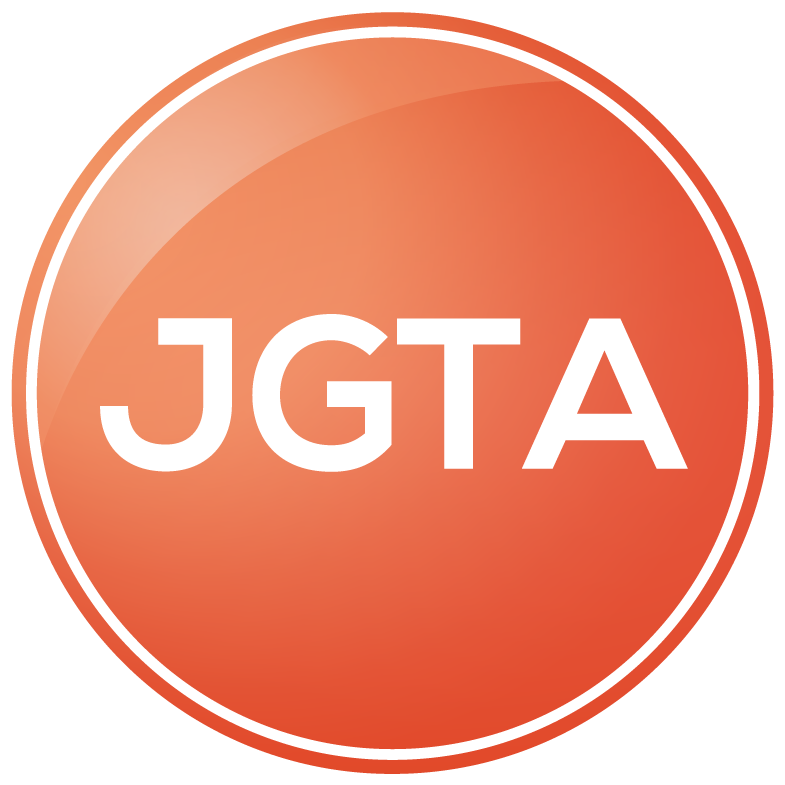 “You” means each person who establishes a connection to JGTA for access to and use of the services and corresponding rights, privileges and benefits of the JGTA Tour Card. The following terms and conditions are the rules and statements of JGTA that users of JGTA’s service are required to follow and agree to should they wish to use JGTA’s services. By accessing and using this service, you accept and agree to be bound by the terms and provision of this agreement. In addition, when using these particular services, you shall be subject to any posted guidelines or rules applicable to such services. Any participation in this service will constitute acceptance of this agreement. The right to use our website is personal to you and is not transferable to any other person or entity. The right to use the services and access the corresponding rights, privileges and benefit of your JGTA Tour Card is personal to you and is not transferable to any other person or entity. You are responsible for all of your use (under any screen name or password) and for obtaining and maintaining all equipment needed for access to and use our services, and all charges related thereto. You are also responsible for ensuring that all of your use complies fully with the provisions of this Agreement. If you do not agree to abide by the above, please do not use this service. JGTA reserves the right to change these terms and conditions from time to time as it sees fit. In the case that JGTA makes changes to content or the Terms and Conditions of use and service, your continued JGTA membership or your continued use of the site will signify your acceptance of any adjustment to these terms. JGTA shall also have the right at any time to impose new conditions, including, but not limited to, adding fees and charges for use. Such changes or modifications shall be effective immediately upon notice thereof, which may be given by means including, but not limited to, posting on JGTA.ORG, or by electronic or conventional mail, or by any other means by which JGTA may publicize notice thereof. JGTA shall also have the right at any time to change or discontinue any aspect or feature of our website, including, but not limited to, content, hours of availability, and equipment needed for access or use. These Terms and Conditions do not necessarily reflect the terms that govern other websites that are operated by JGTA, its affiliates, parent company or wholly-owned subsidiaries. The terms and conditions are legally binding and prohibit you from abusing or misusing the services of JGTA. The terms and conditions lay out the rules of using our service, as well as what will happen if you do not follow these terms and conditions. Members, including parents and players are expected to uphold JGTA Code of Conduct at all times, both in digital spaces, such as while on the internet, and in physical spaces such as while at JGTA-related events. Should a parent or player be seen to break JGTA Code of Conduct at any time, JGTA reserves the right to interpret, assess and decide the consequences as they relate to the status of your membership and tour or tournament eligibility. This term survives the annual term of the Tour Card. JGTA reserves the right to ban a player and/or parent from acquiring a JGTA Tour Card in the future or attend JGTA-related events at any time. 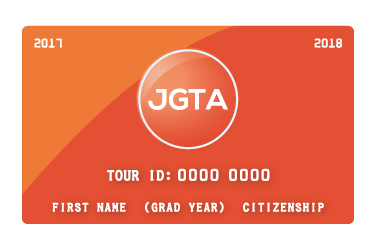 To become a member of JGTA, you must register and pay for a JGTA Tour Card. The JGTA Tour Card signifies your annual membership with JGTA and allows you access to various parts of the website that non-members cannot access, including tournament application portals. Tournament applications portals allow members to apply for the many JGTA tournaments that are held each season. JGTA values competitive junior golf and believes that the growth of the game and the advancement of the next generation of prominent golfers depend on fair, competitive tournament entry policies and systems. Therefore, only members of JGTA are permitted to participate in JGTA tournaments, subject to JGTA’s discretion. When users apply for a Tour Card with JGTA, Player Services department of JGTA receives and reviews your application to determine if you are currently a member of the American Junior Golf Association (AJGA). All junior golfers who meet the JGTA Tour Card eligibility criteria and conditions are eligible to purchase a JGTA Tour Card, subject to the discretion of the JGTA. JGTA Tour Cards are issued once per season, which runs from approximately September to May. Once the season is complete, marked by the last JGTA Tournament, your Tour Card will expire immediately, regardless of when you purchased your Tour Card. In order to regain the privileges, access and rights that come with a JGTA Tour Card, you must re-join JGTA by applying for and pay for next season’s JGTA Tour Card. JGTA reserves the right to confiscate, suspend and terminate your JGTA Tour Card, thus your membership, which includes all JGTA member privileges’, rights and services, at any time without case. JGTA may terminate your JGTA membership or your access to the Site, without cause or notice, which may result in the forfeiture and destruction of all information associated with your account. All provisions of this Agreement that, by their nature, should survive termination shall survive termination, including, without limitation, ownership provisions, warranty disclaimers, indemnity, and limitations of liability. Tour Cards are only issued to those you apply for one, are approved and make payment to JGTA in the full amount of the price listed in the Tour Card application email sent to you by JGTA. The price of the Tour Card may change from time to time and is subject to the discretion of JGTA. JGTA uses Stripe as a payment partner to provide security and convenience to its users. JGTA may change its payment partner from time to time, and in such a case JGTA will notify its members both by email, by contacting the members by telephone, and by posting a notice on JGTA website. JGTA does not collect any financial data, credit card information or any other details of the like during the payment process. Stripe is a third-party service provider and you agree to use Stripe’s service at your own risk, wholly independent of JGTA liability. You can submit an application to be considered for a tournament up until the published Application Deadline for that event (11:59 PM Hong Kong Time approximately 3 weeks prior to the tournament start). The Application Deadline is also the Application Withdrawal Deadline. All Application/Withdrawal Deadlines are published on the Tournament Microsite. Please recheck your schedule and make sure you are available to play each tournament applied to and withdraw an application for any tournament you no longer want to play or will not be able to play BEFORE the Application/Withdrawal Deadline. There is no need to withdraw an application to a tournament if you want to remain an alternate should you not get accepted to the initial field. For the complete withdrawal-policy, please refer to www.JGTA.ORG/withdrawal-policy or by click here. You shall be responsible for reading and understanding the withdrawal policy prior to using JGTA services or making a purchase use of the JGTA website. JGTA’s official ranking system, the Junior Order of Merit, is a points-based system that ranks players according to their average points per tournament, calculated with a divisor of three up to and including the third tournament of any given season in which you participate on JGTA. Each season, opportunities of earning third-party status / recognition points are announced by JGTA. Information made available to you within the website and through other channels explains the implications and terms of such third-party status / recognition points. JGTA is not responsible for any misinterpretation of the information transmitted or made available to you through the website or any other channel and reserves the right to change the terms of earning such third- party status / recognition points through participation in JGTA, at any time. It is your responsibility to evaluate the accuracy, completeness or usefulness of any information, opinion, advice or other content available through JGTA.ORG. Please seek the advice of the Tour, as appropriate, regarding the evaluation of any specific information, opinion, advice or other content. The official Junior Order of Merit Ranking shall only list players who are eligible to earn AJGA PBE Status. Eligibility includes holding an active membership with the Junior Golf Tour of Asia (JGTA) and the American Junior Golf Association (AJGA). In the occasion of a player exemption or invitation into a JGTA sanctioned event that player will have 48 hours from the conclusion of play to provide proof of JGTA and AJGA membership in order to earn the full amount of any merit points earned from their finish in that event. As part of the JGTA’s mission to uphold NCAA bylaws, it is the policy of the Tour not to stage its events at any golf golfing venues that plan to host talent evaluation camps within 3 days of the event dates. To avoid disruption of JGTA operations or disturbance of players, parents, and staff, the Tour has implemented this Non-solicitation Policy (the “Non-solicitation policy”). For purposes of the Non-solicitation Policy, “Solicitation” (or “Soliciting”) shall include, canvassing, soliciting or seeking to obtain membership in or support for any organization, requesting contributions, and posting or distributing handbills, pamphlets, petitions, and the like of any kind (“Materials”) at JGTA tournaments or using JGTA resources (including without limitation bulletin boards, computers, mail, e-mail and telecommunication systems, photocopiers and telephone lists and databases). “Commercial Solicitation” means peddling or otherwise selling, purchasing or offering goods and services for sale or purchase, distributing advertising materials, circulars or product samples, or engaging in any other conduct relating to any outside business interests or for profit or personal economic benefit at JGTA events or using JGTA resources. Solicitation and Commercial Solicitation performed through verbal, written, or electronic means, are covered by the Non solicitation Policy. Items to be distributed or offered for sale, which contain JGTA trademarks, names or design elements, must be approved by the JGTA. In all situations, you shall use our website only for lawful purposes only. You shall not post or transmit through our website any material which violates or infringes in any way upon the rights of others; which is unlawful, threatening, abusive, defamatory, invasive of privacy or publicity rights, vulgar, obscene, profane or otherwise objectionable; which encourages conduct that would constitute a criminal offense, give rise to civil liability or otherwise violate any law; or which, without JGTA’s express and written prior approval, contains advertising or any solicitation with respect to products or services. Any conduct that in JGTA ‘s discretion restricts or inhibits any other individual from using or enjoying our website or our services will not be permitted. You shall not use our website, the proprietary features or intellectual property within to advertise or perform any commercial solicitation. You shall not disrupt or interfere with the source code of our website so as to drain its resources through infecting a virus, denial of service attacks, or forms of excessive use, manipulate or destruct or reconstruct the source code of our website, adapt in any way our website or servers or networks connected to our website or disobey any policies or procedures or regulations of networks connected to our website. This site and the original content, features, and functionality within including all media, graphic design, artwork, concepts, ideas, logos, expressions, trademarks are owned by JGTA and are protected by international copyright, trademark, trade secret, and other intellectual property or proprietary rights laws. Only authorized persons who send a written request, and are approved by written permission only, coming directly from JGTA ownership, may use any of the original content, features, and functionality within this site for any purposes other than those for which they were intended. Unauthorized use, copying, redistribution, retransmission, publication or commercial exploitation of downloaded material is strictly prohibited and may result in legal action. THE MATERIALS ON THIS WEBSITE ARE PROVIDED “AS IS” AND WITHOUT WARRANTIES OF ANY KIND EITHER EXPRESS OR IMPLIED. TO THE FULLEST EXTENT PERMISSIBLE PURSUANT TO APPLICABLE LAW, JGTA DISCLAIMS ALL WARRANTIES, EXPRESS OR IMPLIED, INCLUDING, BUT NOT LIMITED TO, IMPLIED WARRANTIES OF MERCHANTABILITY AND FITNESS FOR A PARTICULAR PURPOSE. JGTA (“JGTA”) DOES NOT WARRANT THAT THE FUNCTIONS CONTAINED ON THIS WEBSITE WILL BE UNINTERRUPTED OR ERROR-FREE AT ALL TIMES, THAT DEFECTS WILL BE CORRECTED, OR THAT THIS WEBSITE OR THE SERVER THAT MAKES THE WEBSITE AVAILABLE ARE FREE OF VIRUSES OR OTHER HARMFUL COMPONENTS. JGTA DOES NOT WARRANT OR MAKE ANY REPRESENTATIONS REGARDING THE USE OR THE RESULTS OF THE USE OF THE MATERIALS ON THIS WEBSITE IN TERMS OF THEIR CORRECTNESS, ACCURACY, RELIABILITY, OR APPROPRIATE FUNCTIONING. YOU (AND NOT JGTA) ASSUME THE ENTIRE COST OF ALL NECESSARY SERVICING, REPAIR, OR CORRECTION. THE INFORMATION AND DESCRIPTIONS CONTAINED HEREIN ARE NOT INTENDED TO BE COMPLETE DESCRIPTIONS OF ALL TERMS, EXCLUSIONS AND/OR CONDITIONS APPLICABLE TO THE PRODUCTS AND SERVICES BUT ARE PROVIDED SOLELY FOR GENERAL INFORMATIONAL PURPOSES. THIS WEBSITE MAY BE LINKED TO OTHER WEBSITES, WHICH ARE NOT MAINTAINED BY JGTA. JGTA IS NOT RESPONSIBLE FOR THE CONTENT OR SUITABILITY OF THOSE WEBSITES. NEITHER JGTA, ITS AFFILIATES, PARENT COMPANIES, its wholly-owned subsidiaries NOR ANY OF THEIR RESPECTIVE EMPLOYEES, AGENTS, THIRD PARTY CONTENT PROVIDERS OR LICENSORS SHALL BE LIABLE REGARDLESS OF THE CAUSE OR DURATION, FOR ANY ERRORS, INACCURACIES, OMISSIONS, OR OTHER DEFECTS IN, OR UNTIMELINESS OR INAUTHENTICITY OF, THE INFORMATION CONTAINED WITHIN JGTA.ORG, OR FOR ANY DELAY OR INTERRUPTION IN THE TRANSMISSION THEREOF TO YOU, OR FOR ANY CLAIMS OR LOSSES ARISING THEREFROM OR OCCASIONED THEREBY. IN NO EVENT WILL ANY OF THE FOREGOING PARTIES BE LIABLE TO YOU FOR ANY DAMAGES, INCLUDING, WITHOUT LIMITATION, DIRECT, INDIRECT, INCIDENTAL, SPECIAL, CONSEQUENTIAL OR PUNITIVE DAMAGES ARISING OUT OF THE USE OF OR INABILITY TO USE JGTA.ORG. YOU AGREE THAT NEITHER JGTA, ITS AFFILIATES, PARENT COMPANIES, its wholly-owned subsidiaries NOR ANY OF THEIR RESPECTIVE EMPLOYEES, AGENTS, THIRD PARTY CONTENT PROVIDERS OR LICENSORS ARE LIABLE FOR THE DEFAMATORY, OFFENSIVE OR ILLEGAL CONDUCT OF OTHER USERS OR THIRD-PARTIES AND THAT THE RISK OF INJURY FROM THE FOREGOING RESTS ENTIRELY WITH YOU. You agree to defend, indemnify and hold harmless JGTA, its parent company, its wholly-owned subsidiaries, and their respective affiliates and each of their respective directors, officers, employees and agents from and against all claims and expenses, including attorneys’ fees, arising out of the use of JGTA.ORG by you or any third party. JGTA may display the licensed marks and information of our corporate sponsors and partners, and their products and services; within our site, elsewhere on the Internet, at JGTA events or in other JGTA-related offline spaces, as a part of the service JGTA provides these corporate sponsors and partners in exchange for their financial support of JGTA. JGTA is very selective when choosing corporate sponsors and partners, as here at JGTA we take our reputation and credibility very seriously. We only endorse products and services that we believe in and that we believe our members may find interesting. By accessing this website and by use of JGTA services you agree not to hold JGTA liable for any confusion or damages caused by its corporate sponsors or partners through your own interpretation of the information made available to you by JGTA, or through your purchase or use of their products or services. Any opinions, advice, statements, services, offers, or other information or content expressed or made available by third parties, including information providers, you or any other user of JGTA.ORG, are those of the respective author(s) or distributor(s) and not of JGTA. Neither JGTA, its parent companies, it wholly-owned subsidiaries or affiliates, nor any third-party provider of information, guarantees the accuracy, completeness, or usefulness of any content, nor its merchantability or fitness for any particular purpose. Please refer to www.jgta.org/privacypolicy or by clicking here, for information on how JGTA collects, uses, and discloses your personal information. JGTA respects the rights of all copyright holders and, in this regard, JGTA has adopted and implemented a policy that provides for the termination in appropriate circumstances of access and use by users who infringe the rights of copyright holders. If you believe that your work has been copied in a way that constitutes copyright infringement, please provide JGTA‘s Copyright Agent the following information: (i) A physical or electronic signature of a person authorized to act on behalf of the owner of an exclusive right that is allegedly infringed; (ii) Identification of the copyrighted work claimed to have been infringed, or, if multiple copyrighted works at a single online site are covered by a single notification, a representative list of such works at that site; (iii) Identification of the material that is claimed to be infringing or to be the subject of infringing activity and that is to be removed or access to which is to be disabled, and information reasonably sufficient to permit JGTA to locate the material; (iv) Information reasonably sufficient to permit JGTA to contact the complaining party; (v) A statement that the complaining party has a good-faith belief that use of the material in the manner complained of is not authorized by the copyright owner, its agent, or the law; and (vi) A statement that the information in the notification is accurate, and under penalty of perjury, that the complaining party is authorized to act on behalf of the owner of an exclusive right that is allegedly infringed. For copyright inquiries, please contact: Copyright Agent, JGTA, admin@jgta.org. For web posting, reprint, transcript or licensing requests for JGTA material, please contact admin@jgta.org. For any questions or requests other than copyright issues or licensing requests, please contact admin@jgta.org.